I received Elf Magic Christmas Elf to help start a family Christmas tradition. All thoughts and words are my own. I think establishing family traditions is really important. It’s something that bonds your family together and gives you situations you can look back on over time and recall together. Growing up my parents provided us with lots of special family traditions, especially around the holidays. Many of those traditions I’ll be continuing with my own family in years to come, but Bubbles is on the young side to understand or appreciate most of them. I did think it would be fun to invite a Christmas Elf to visit us as a way to help her understand the Santa-side of Christmas. 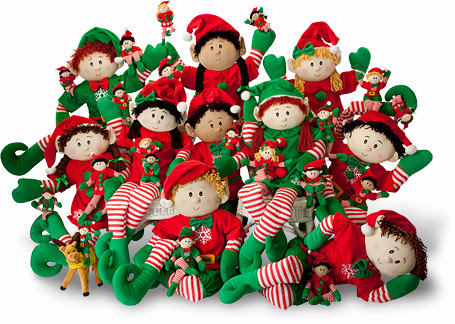 When I saw the Elf Magic Elves I thought their soft, huggable bodies made them the best choice for introducing a Christmas Elf tradition to a toddler. Generally the Elf Magic Elves arrive after your children have written a letter to Santa asking him to let an Elf visit. Bubbles is a little too young for this part of the tradition, but next year we’ll probably send one asking for our Elf to return again. Then Santa will send your kiddos their own Elf to keep an eye on them. There are 10 elves to choose from: both boys and girls, different hair colors, and different skin tones. When they arrive at your house, they have a poem explaining their purposes, a small Santa sack to share little treats from Santa for good behavior, and some “North Pole Snowflakes” to bring the magic to life at night. Then your little Elf Magic Elves are free to start creating holiday fun! Our elf – Sandy – has been with us for a few days now. 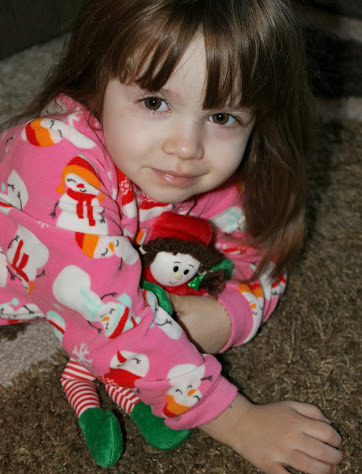 The first night she arrived she brought Bubbles a new pair of Christmas PJs and a book to read together before bed. I love that Elf Magic Elves are meant to be snuggled and loved – that’s part of their magic. That night we sprinkled Sandy with some North Pole Snowflakes and left her some crackers and water. The next morning the snacks were gone, but Sandy was back – only not quite where we left her. She was relaxing on the tree, checking out some of our special ornaments. Sandy has found a few other fun hiding places, and I’m sure she’ll find lots more. Be sure to follow me on Instagram to keep up with our #ElfMagic fun! 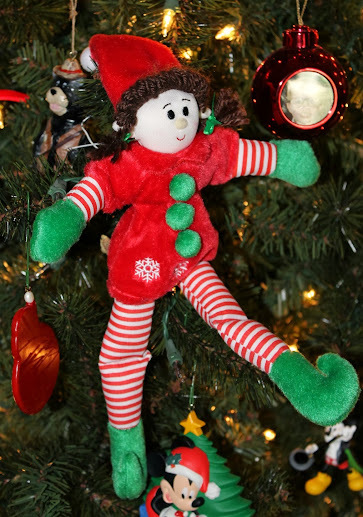 What Elf Magic fun and games has your Christmas Elf participated in?